Ben 10 and Big Hero 6 creator STEVEN T. SEAGLE returns to comics with New Yorker cartoonist JASON ADAM KATZENSTEIN for a new graphic novel! Reluctant Skye is accidentally sent to the wrong summer camp. Not wanting to please her “step monster,” Skye is dead-set on not fitting in. 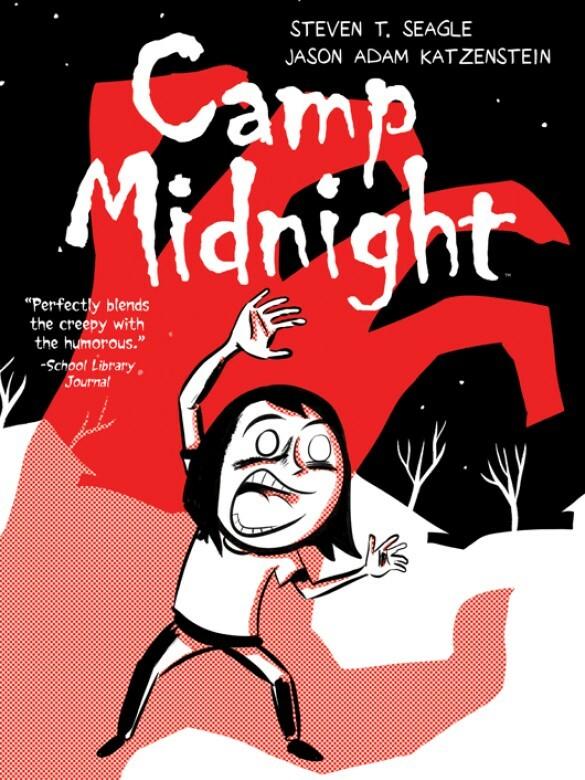 That won’t be a problem, as everyone at Camp Midnight—with the exception of fellow camper and fastfriend Mia—is a full-fledged monster! The perfect book for fans of RAINA TELGEMEIER’s Smile, but wish it had more bowls of gooey eyeballs.